The author of this test is the famous British psychologist Pip Wilson, an expert in working with people with conduct disorder, an expert in experiential learning and the development of emotional intelligence. This is one of his famous Blob Tree test that was originally designed for school children in order to verify how well they are at school. However, later it turned out that he was very relevant for adults. 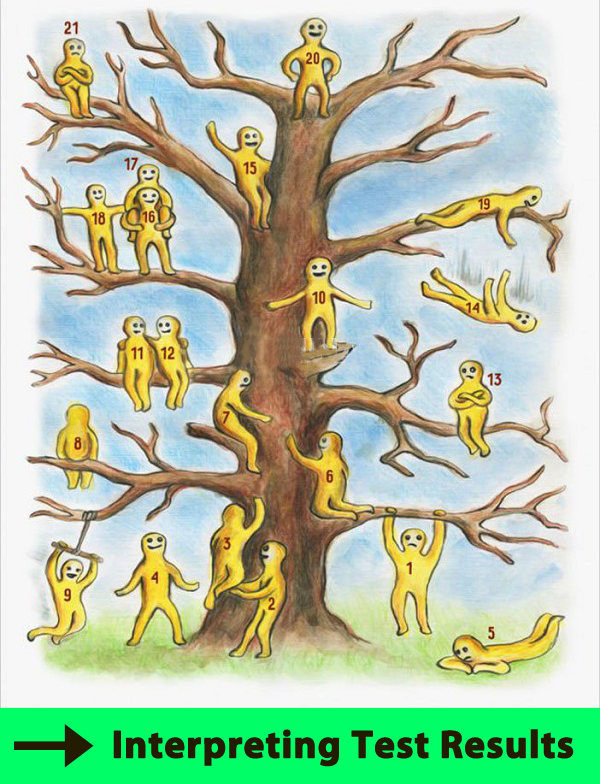 Each of the little man on the tree has a different mood, and they have a different position. First, identify which one most resembles you. After that, select the little man who would you like to resemble. So, who you are and who you want to be?